Last month I found out I had been featured as a Spotlight Winner at Crafting By Designs Challenge Blog. You can see that post~ HERE! I was honored to find out that because I was one of the Spotlight Winners, I was asked to be a guest designer for their November 5th challenge of Anything Goes!! How fun is that!! 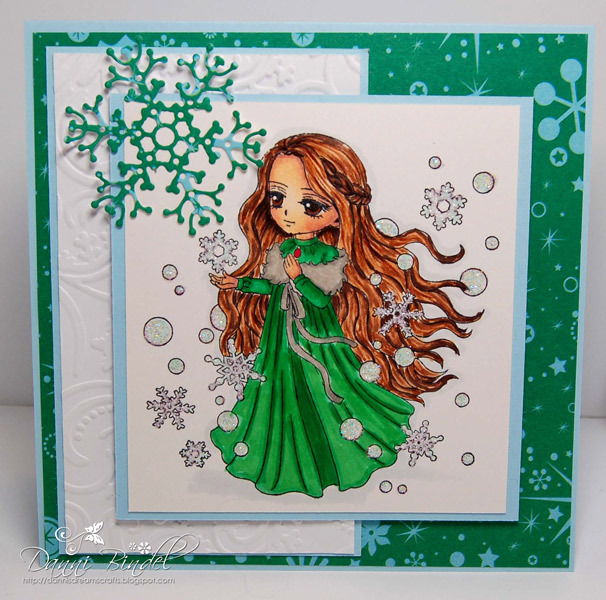 For my card I used the Whimsy Stamp, Winter Princess from artist, Art by Miran. 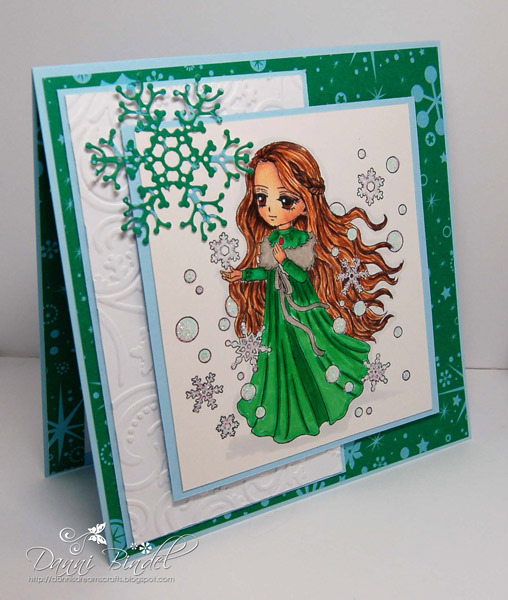 I also used the Whimsy Shapeology Die-Winter's Jewel 1. I think it's just such a pretty snowflake!! A big thanks to Crafting By Designs for having me as a guest designer! Be sure to go check them out and why not play along with their Anything Goes Challenge! She's beautiful. Love all the snowflakes! Congrats! Beautiful card for your GD spot! This is fab!I love the snowflake! She's beautiful how you colored her!